SANDORA FRAGRANCES. Country/Region of Manufacture: United States Fragrance Type: Eau de Parfum. We are here to give you quality products, competitive pricing and amazing service in order to make sure you get the best deal online. We are always working hard for maintain high standards of excellence and resolve your problem in best way. We will work with you to resolve any problem you may have. WE WILL DO OUR BEST TO MAKE IT RIGHT. Pheromone infused oil. It's important to have realistic and grounded expectations from pheromone products. The reality seems to be that it is very a subjective experience. Gender friendly fragrance. It is designed to symbolize class in a successful man. Subtle fragrance. Blue Lady. It opens with fresh and sparkling notes of mint and mandarin. Blue For Man is not associated with Le Male Jean Paul Gaultier. Size: 3.3oz or 100ml. BLUE DE CHANEL PURE PARFUM FOR MEN SPRAY 1.7 oz/50 ml SEALED BOX 100% authentic! BLUE DE CHANEL. 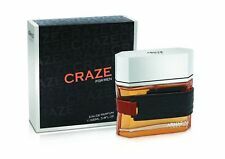 1.7 oz (50 ml) PURE PARFUM. %100 AUTHENTIC. 5 out of 5 stars - BLUE DE CHANEL PURE PARFUM FOR MEN SPRAY 1.7 oz/50 ml SEALED BOX 100% authentic! 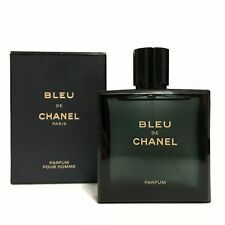 1 product rating1 product ratings - BLUE DE CHANEL PURE PARFUM FOR MEN SPRAY 1.7 oz/50 ml SEALED BOX 100% authentic! 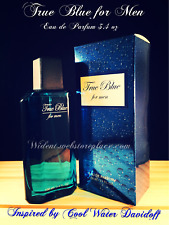 Polo Blue Natural Spray Toilettte Cologne made in France. New in blue factory sealed box. Rasasi Royale Blue 75 ML EAU Parfum and Rasasi Royale Blue 200 ML Deodorant. Powerful and masculine is this fragrance from Rasasi. 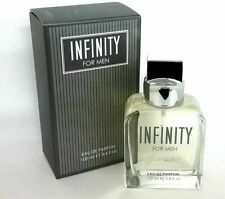 Distinct and Exotic You will be the guy to look out for when you leave people impressed with your outstanding skills and take that distinct and exotic scent around wherever you go so spray up. 100ml 3.4oz. Aromatic eau de toilette. Genuine Eau de Toilette. COMBO SET OF 2. LIVE & BLUE NIGHT. BLUE DE CHANEL BY: CHANEL. PRODUCT POLO BLUE PERFUME OIL TYPE FOR MEN 1oz(30mL) IN ROLL-ON BOTTLE ESPECIALLY DESIGNED FOR BODY APPLICATION. THIS RICH FRAGANCE OIL HAVE NO AFFILIATION NO PARTNER SHIP WITH BRAND MANUFACTURER DESIGNER. No aceptamos devolucion ni cambios. Glass bottle - Made in the USA. Blue Forest Men Cologne (3.3 Fl Oz Or 100ml).. Condition is New. Shipped with USPS Priority Mail. You are buying: 1 Cologne Spray ♦ ♦ ♦. Bath & Body Works. 3.4 fl oz / 100 mL. In order to avoid this, lets work together to make everything right. May last anywhere from 3- 4 hours depending on the individual. It is created with a lighter concentration of fragrance oil, and is ideal for a more subtle impression. Most common strength of fragrances. Mustang Blue perfume for men 3.3oz 100ml. Mustang blue alternative designer fragrance by Classic Colection.· Impression men's cologne scent similar to popular designer fragrance BLUE by RALPH LAUREN®. · THIS ITEM IS NOT ASSOCIATED WITH THE NAME BRAND ORIGINAL MENTIONED. This Product is not associated or affiliated in any way with the manufacturers, distributors, or owners of the original designer fragrances mentioned or shown. These products are competing products by competing companies. CO BIGELOW. ELIXIR BLACK. Bath & Body Works. Each Bottle is 2.5 fl oz / 75 mL. You are buying: 1 Bottle ♦ ♦ ♦. In order to avoid this, lets work together to make everything right. HAWAIIAN BLUE BY LANGER. LANGER HAWAII CORPORATION. SIZE: 2 OZ. COLOGNE SPRAY. NOTE: RARE AND DISCONTINUED ORIGINAL. Ecko Blue by, 3.4 Ounce. Category: Health and Beauty. Product Type: BEAUTY. Size: 3.3 oz. Blue was launched in the spring of 2011. 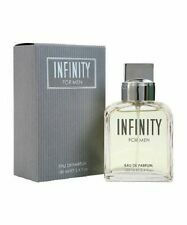 The fragrance is refreshing and modern, opening notes of citruses, plum and black currant. Rasasi Royale Blue 75 ML EAU Parfum and Rasasi Royale Blue 200 ML Deodorant. Powerful and masculine is this fragrance from Rasasi. Ingredients of Royale Blue Deodorant Distinct and Exotic You will be the guy to look out for when you leave people impressed with your outstanding skills and take that distinct and exotic scent around wherever you go so spray up. 100ml 3.4oz. AQUATIC EAU DE TOILETTE. Fresh and Modern Fragrance. DEEP BLUE SEA. T his scent is long lasting and lingers in the mind of the one you love. Its Scent has a Rich Woodsy, Sensual Aromatic Scent. Sandora Fragrances. 100ml 3.4fl OZ. CO BIGELOW. ELIXIR BLUE. Bath & Body Works. Each Bottle is 2.5 fl oz / 75 mL. You are buying: 1 Bottle ♦ ♦ ♦. In order to avoid this, lets work together to make everything right. Versace Man Eau Fraiche Mini Travel Kit Shower Gel AfteR Shave Toilette. Condition is New. Shipped with USPS First Class Package. Type: EDC (Eau de Cologne).